First, to masks. I previously recommended that everyone have several N95 masks in their preps. Having talked with several prepping experts today including a couple who sell masks, I have some additional recommendations for you. First, the consensus is still that N95 masks are completely satisfactory to have in your preps. The main issues with N95 Masks are regarding donning the mask. Several points were made to me about this today. First, when you don the mask, you MUST make sure that there is a good seal of the mask to your face. This usually means adjusting the nose bridge so that it fits properly on your face. If you don’t have a good seal then the mask is useless to you. Second, make SURE that your hands are clean and sanitized before you handle the mask. If you have the virus on your hands and then touch the inside of your mask to put it on, you’re just putting the virus right in your airway. Finally, and this is something we learned some time ago, for children – you can cut the bottom of the adult N95 mask off to custom fit it to your child’s face. This is actually what my wife and I were taught to do by the Oncologists for our daughter with Leukemia. You can order N95 masks from this link (or lots of other places as well). N99 masks are more expensive than N95 masks. They do a slightly better job of killing viruses and (from what I’ve learned today) they tend to adjust and fit better on your face. The picture above is of someone wearing an N99 mask. You can order N99 masks from this link (or lots of other places as well). The Triosyn mask is a much more expensive solution but is a proactive approach. They have an antimicrobial protection system built into them, are fluid resistant, have an activated carbon layer to filter out odors and a one way valve ventilation system. The ventilation system makes it easier to wear for extended periods of time because it is much easier to exhale from. It also has an inner seal along with two adjustable head straps and an adjustable nose piece. It has about a 5 year shelf life and is good for 24 hours of use. It is one of the only masks that actually kills viruses instead of just filtering them out. You can order them through this link (or lots of other palces as well). The panic buying has already started. Here in Utah, many stores are already out of them. I went by a couple stores today and they were sold out, while I was at Wal-Mart looking 3 other people came to where I was looking for masks. Many online vendors (including the ones I’ve talked to today) are reporting that they have had a HUGE demand the last couple days and are sold out. They also said that they fully expect to be re-stocked within the next 48 hours. Masks are the new ammunition – they’re going to be pretty tough to find before too long! With all the links above, I would do what I could to find out from a site whether they had masks in stock before I placed an order with them. Anytime you are out in public during an actual pandemic/epidemic (which point we are NOT to yet!) you will want to be wearing a mask, eye protection and possibly gloves. You’ll also want to be armed with sanitizing spray and wash. If you start an in home quarantine then you will want everyone to wear masks and take serious protective precautions for the first 48 hours. This is to identify whether anyone in the quarantine is already infected and is going to come down sick. Once you’ve determined that nobody in the quarantine is a carrier you should be safe to un-mask but should still maintain very sanitary practices. If you have to work around someone who is sick (i.e. a member of your quarintine contracts the virus – like your child) you will want to take multiple precautions. Isolate the person in a seperate room, hang heavy plastic over the doorway to prevent active airflow, don protective gear including mask, goggle, gloves, apron, shoe covers anytime you must enter the room. Generally speaking, little kids DO NOT like to wear masks! (we have some personal experience with this) I would advise you to tell your kids that you’re going to teach them about some current events and some plans in case certain things happen. Have them wear a mask while you’re talking, make it last about an hour. Have a fantastic dessert for them if they keep their mask on. Then do it for half an hour each day for the next five days. By this point they won’t freak out about the mask, they won’t fight it quite as much. Anytime you’ve handled something that might have exposed your hands to the virus, you should vigorously scrub your hands – preferably with anti-bacterial soap. You should be using an alcohol based sanitizer pretty much anytime you handle something that might have been exposed – door handles, paper, hand rails – anything someone might have sneezed on or touched after sneezing. Again, this is only if you are in an at-risk situation like a breakout in your state. Other ways you can sanitize are to get spritzer spray bottles and fill one with isopropyll alcohol and another with bleach. Spraying things like door handles with either or both of these will kill most germs. They’re asking people with respiratory symptoms to stay at home but to go to a doctor if they have the serious hallmarks of flu — like a fever, muscle aches, exhaustion, chills, sweats and headaches –not just a cold. “Well, I think you have to use common sense. You know we’re subject to colds, to respiratory illnesses all the time. I think though, if I were running a fever, had muscle aches and felt unusually tired along with a respiratory illness, yeah, I’d go to the doctor,” Dr. Sundwall said. As of right now in the U.S. NOBODY has died from the virus. Many have come down with it but they’re being reported as “mild cases”. However, as of right now 103 people have died in Mexico from the swine flu. There is so much going on with this worldwide that any status would be outdated as soon as I posted it. There are a few good resources to check out though. Breaking News Online’s Twitter feed is a really good source of worldwide pandemic status. I suggest following them if you use Twitter. You can also follow Healthmap for updates on swine flu outbreaks. They also have a great map of where diseases have been reported. You can also follow Veratect, a lab monitoring the swine flu, on Twitter for early info. There seems to be a lot of fear out there about this, the news seems to be feeding that fear. The information in the last section of this post could be scary. But we need not panic! We’re Preppers, we look to things like this as stuff we thought might happen! The purpose of this post is NOT to scare you. It’s merely to help you get prepared for what might come. We’re trying to provide you with information so that you don’t have to be scared. The prudent thing to do right now is review your preps – make sure you’re ready for an extended stay at home. If you have to self-quarantine at home, are you ready to be there for a while? What if this virus mutates and turns into a pandemic? Are you prepped for the grid to go down? Are you prepped for other services to be interrupted? Take inventory, make sure your 3 month supply is fully stocked. Make sure you have fuel, food, water and pandemic preps. Have a family action plan in case there is a breakout in your area. Always, always remember: If you are prepared, you SHALL NOT FEAR! 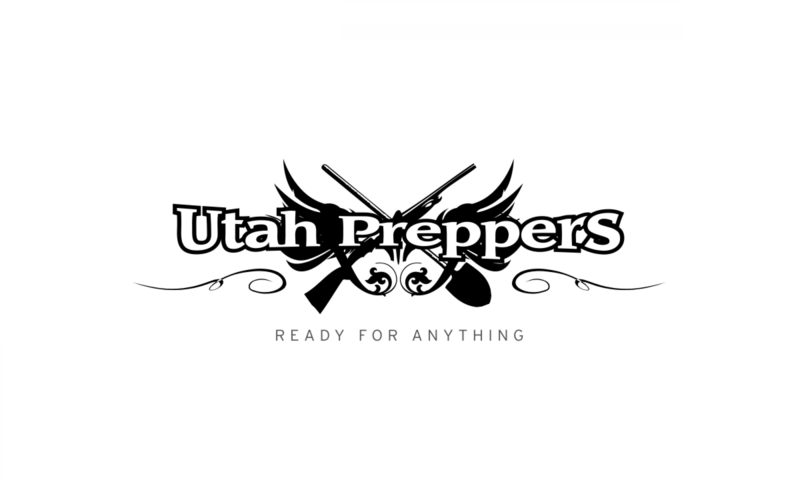 As Preppers we’re ready for this – whether it happens or not. Thanks very useful general information on mask. like to add Totobobo as another choice for children. This mask can be cut to fit very small kids (~4 years old). and it is transparent so it is easy to check the seal.